The Jacobs went to the gym this morning and to score some 2/1$ avocados at Sprouts. So here I sit, sipping on the last mildly warm drops of my chai tea reflecting on two whole big years of maintaining a blog - however spotty. I wouldn't have remembered that today was any type of -versary except that it is Groundhog Day. Which for the UDer is a sacred day of dancing and music and ideally sylvan inebriation (i.e. a kegger in the woods). So tonight I will be meeting up with other alumni to enjoy some free beer and toast the alma mater. 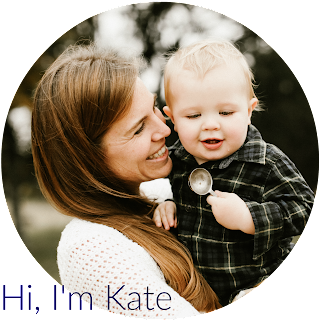 Life is very different today than it was two years ago when I started this blog. Two years ago I was pregnant and finishing grad school and we lived in a tiny converted garage that they have sense demolished and replaced with a mega mansion. Two years ago we'd just lost our beehive and were about to lose our primary income. Two years ago we hadn't met our son. I could list all the ways our lives have changed in the last couple of years for a VERY long time, but it's more difficult to talk about how I have changed. But I know I've changed a lot. Certainly, I'm still the same person generally: the same quirks, the same annoying habits. I still get uncomfortable and frustrated whenever I try to do my hair or paint my nails. I still tackle all types of labor intensive projects - sewing, crocheting, food fermenting, gardening - without ever mastering any of them. I still make all kinds of To Do lists and almost never complete the tasks. So perhaps I'm pretty much the same person I was two years ago. Except now that I have a little one, I'm looking at the world from an entirely different angle, and with this new perspective I feel changed to the core. It reminds me of a painting by an artist I once got to hear speak at a Christians in the Visual Arts (CIVA) Conference I attended as a teenager. I went to a talk by the artist Makoto Fujimara about some of his Images of Grace. He showed us a slide of one painting in particular. The painting was huge and a deep deep red. On the left side of the painting was an unassuming vertical gold line that stretched to the top of the canvas. He talked about this painting - this image of grace. In his broken English he communicated that, because of how the painting was installed, as you approach it all you see is the red. But when you arrive at the painting, when you stop and look - he said - you see the gold line. And then that is all you see. So. Abruptly done with my somber ramblings. Off with you to other blogs to find some chuckles. 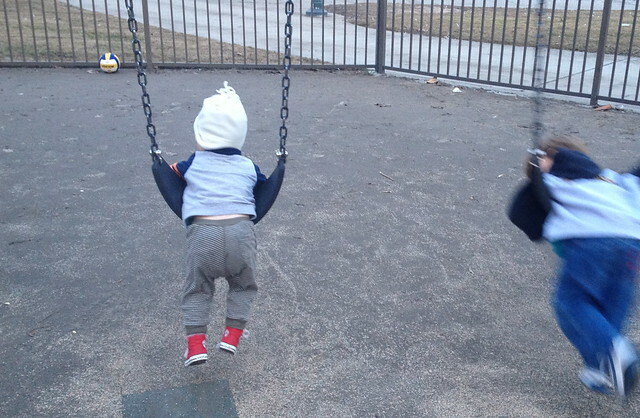 Here's a pic of Jake copying his big friend on the swing while wearing his "bastetball shoes." Happy Groundhog Day! Drink a beer like it was my idea! Becoming a mother changes everything. You are so right. The whole world looks different. Both good and bad! I remember when my oldest was two and my only, and I would take him places that were ordinary to me, and he would see something new and exciting every time. And that made me look at the place with different eyes. Happy Anniversary! Happy Groundhog, indeed! I celebrated for you with Kathleen out in the park. And I'm looking forward to many more years of blogging.